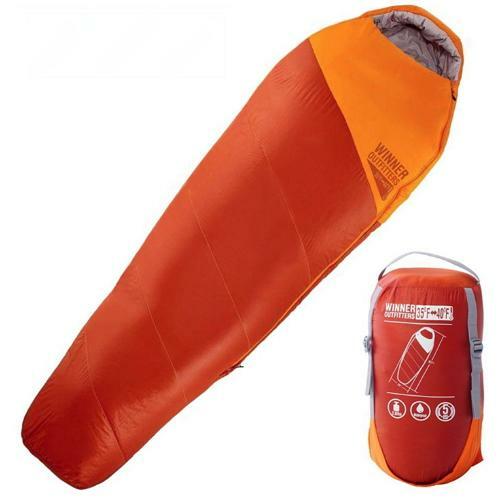 Sleeping bags can be considered one of the most important pieces of gear for a camping trip. 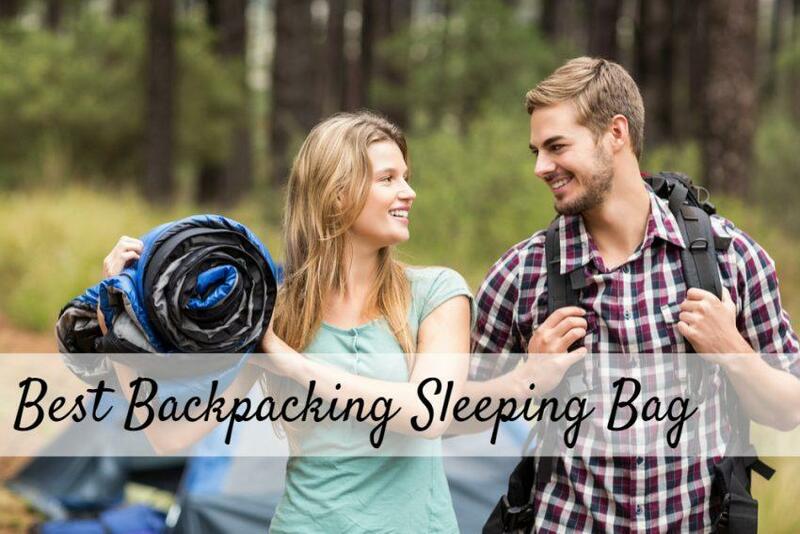 Any experienced backpacker understands that not getting restful sleep can ruin an expedition. 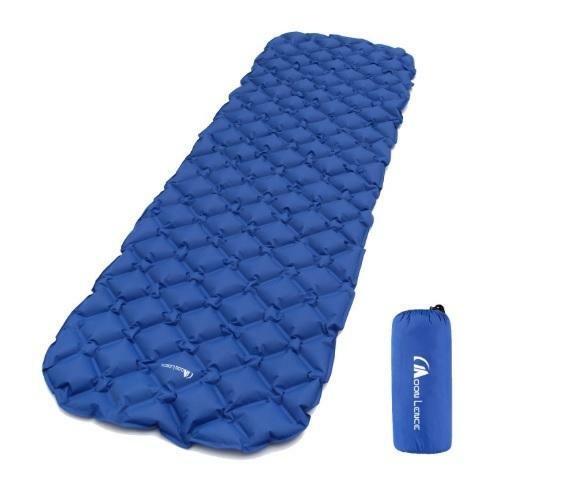 So, although there are several crucial items needed for camping, sleeping bags cannot be overlooked. 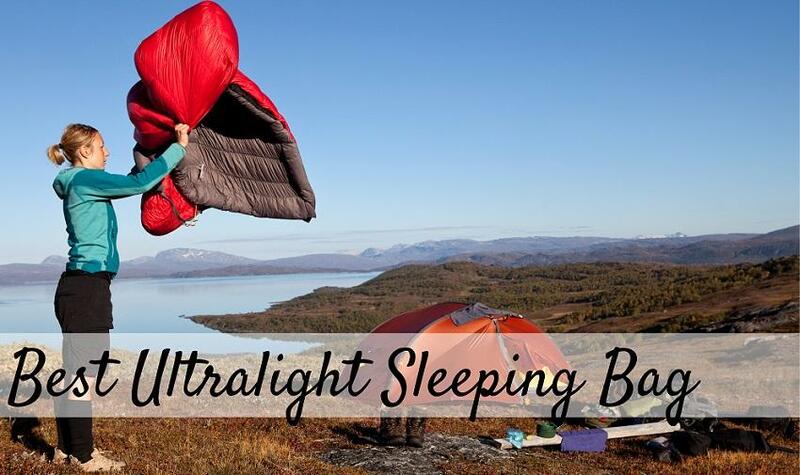 When it comes to selecting a sleeping bag, warm, dry, and comfortable are usually the most desirable features. 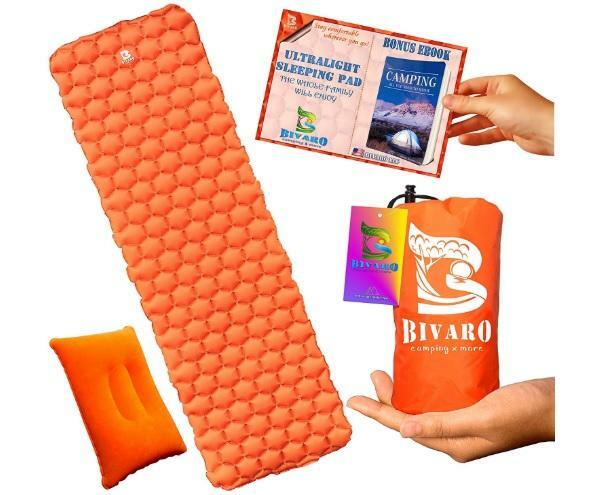 However, sleeping bags are more complex than that and offer a variety of features and accessories for any camping trip. 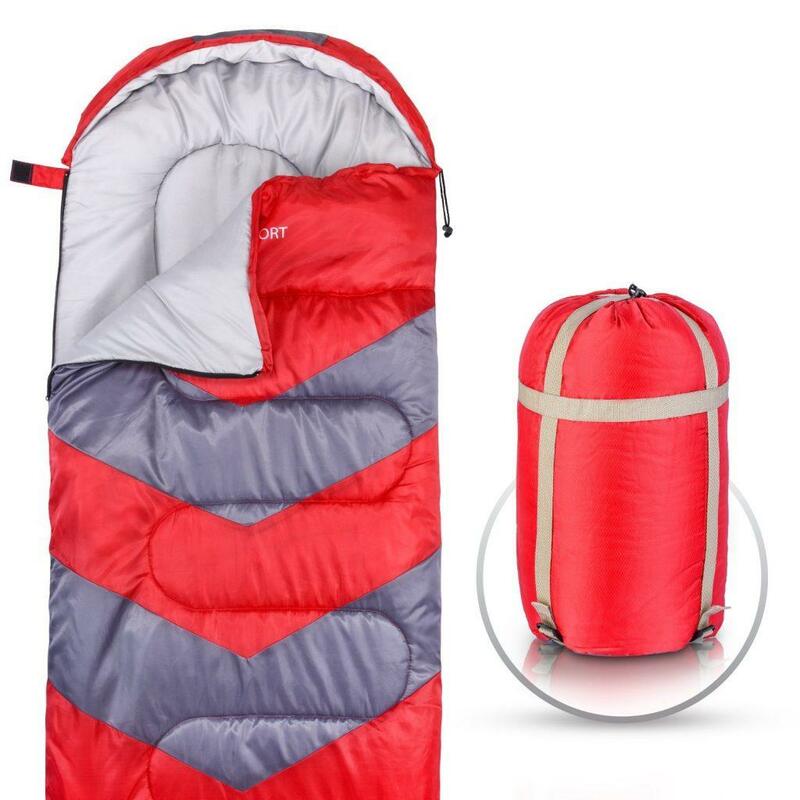 With the endless options on the market, it can be hard to decide what is best for your needs, but it is also more likely that the perfect sleeping bag for you is out there. 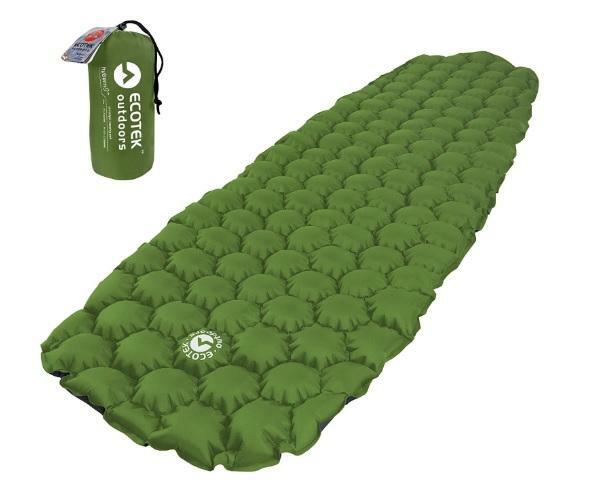 Climate: This may be the most important factor to consider when purchasing a sleeping bag. 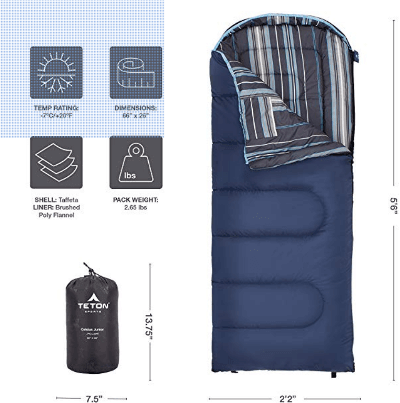 The climate you plan to use your sleeping bag in determines the several of the features you will need in your sleeping bag. Before your trip, find out what type of weather and temperatures you can expect, as well as what type of terrain you will be sleeping on. 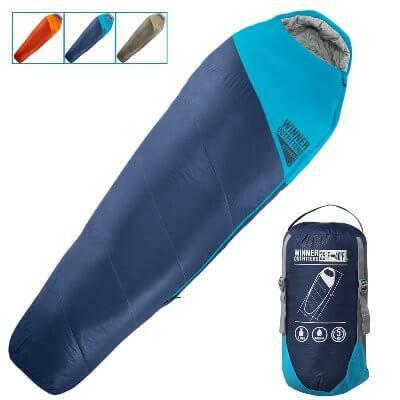 All sleeping bags come with a temperature rating, or the lowest temperature at which the sleeping bag will keep you warm. The temperature rating is set with the assumption that the sleeper will be wearing long underwear. 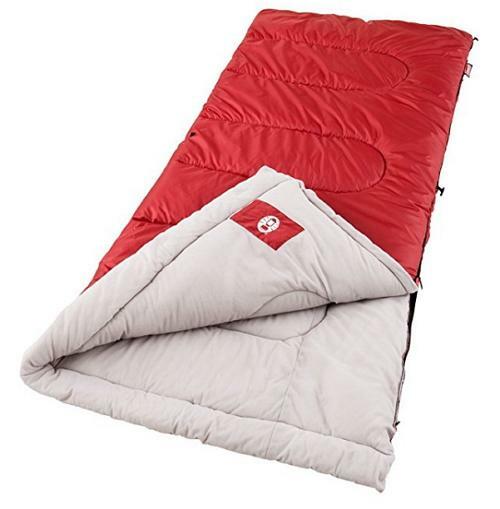 The majority of sleeping bags have a temperature rating between +15 and +50 degrees Fahrenheit, but some can go as low as -40 degrees Fahrenheit. It is generally suggested to choose a sleeping bag that is rated 5 or 10 degrees less than the temperatures you expect to be sleeping in. Another major factor to consider about the climate is precipitation. If you expect to encounter rain, snow, hail, sleet, or any kind of moisture, your sleeping bag should be water proof or water resistant. 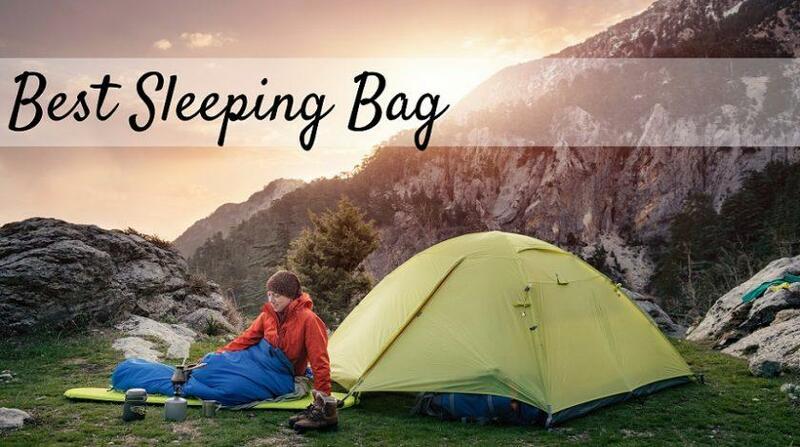 Some materials are naturally more resistant to moisture, but others may need the help of an additional shell or liner to ensure that water cannot soak through the sleeping bag. 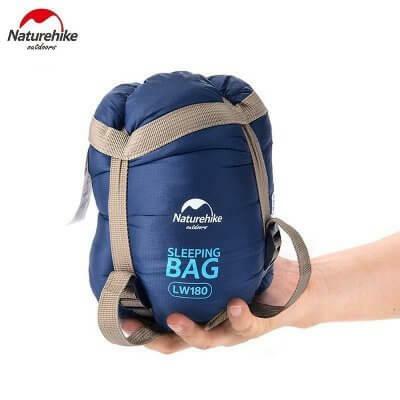 Weight: Your sleeping bag will be one of the heaviest pieces of equipment you bring on your expedition. If you plan on backpacking, the weight of your sleeping bag will be of particular interest, but if you are setting up camp in one place or car camping, it may not play as large of a role in your decision. 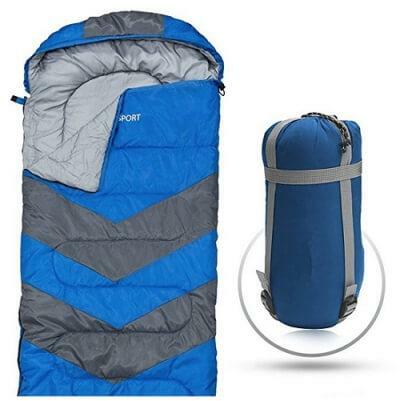 Usually, the heavier the weight, the warmer the sleeping bag, so you are looking for a bag that balances warmth and weight for your specific trip. 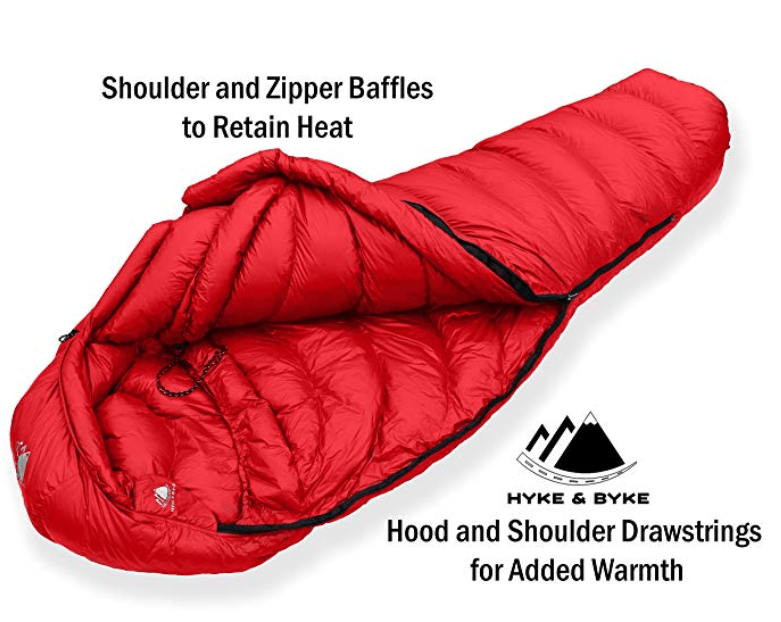 Shape and Size: The shape and size of your sleeping bag plays a surprisingly large role in keeping you warm. Your body is the main source of heat in a sleeping bag, so the better the sleeping bag “fits” you, the easier it is to stay warm. 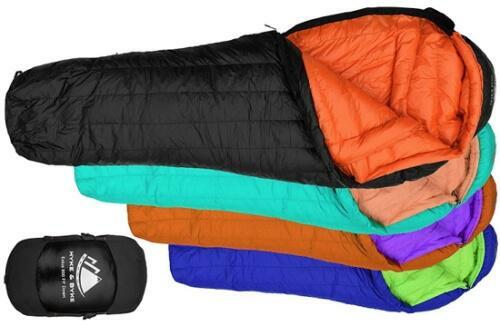 In general, there are 4 sleeping bag shapes: rectangular, barrel shaped, mummy, and double wide. The rectangular shape is intended to be more spacious and comfortable, plus it allows you to zip bags together to create a double bed. 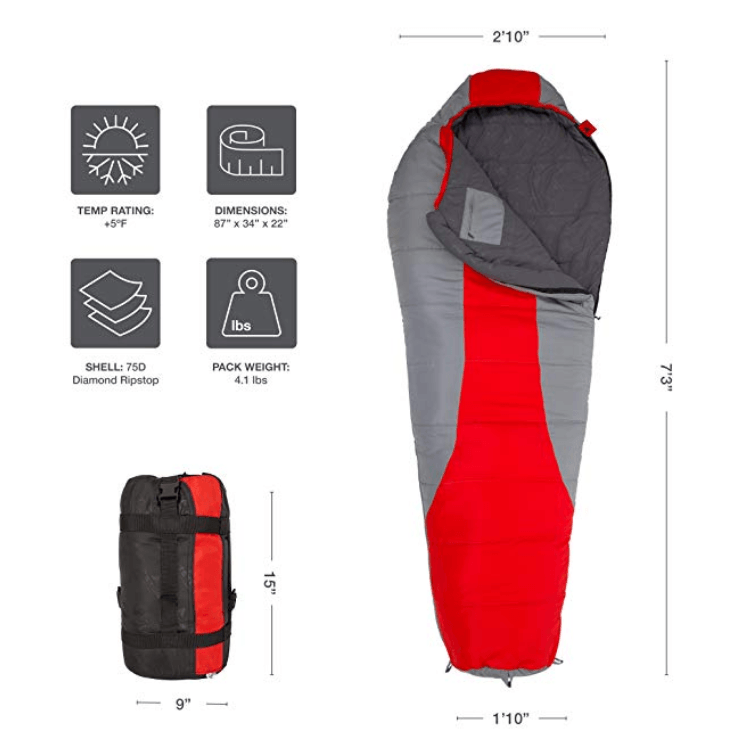 The barrel-shaped sleeping bags are wide at the shoulder and become narrower towards the feet, which makes heating more efficient and makes them easier to carry. The mummy design is narrow from head to toe so that is lightweight for carrying and snug to the body for maximum warmth. 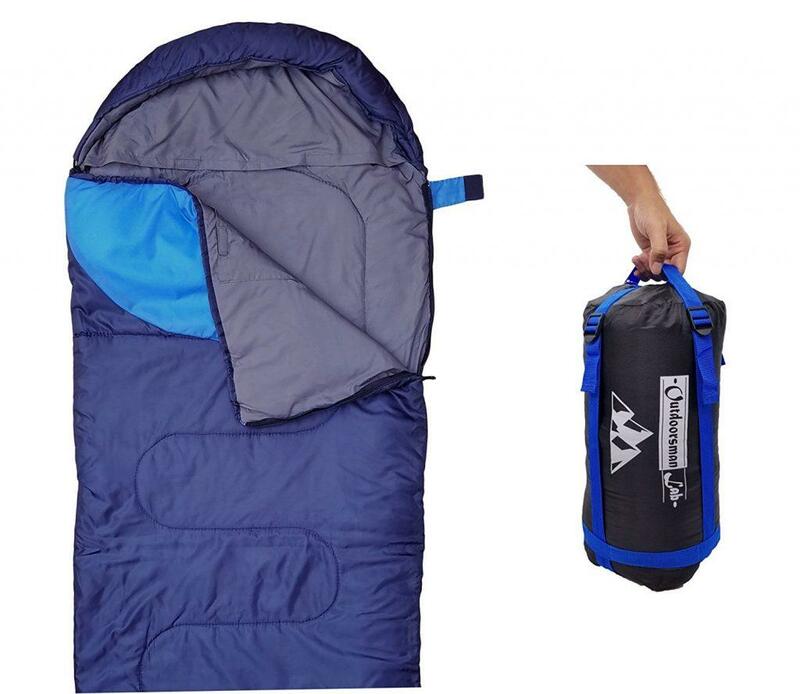 The double-wide sleeping bags, as the name suggests, are roomy and meant to sleep 2 people. 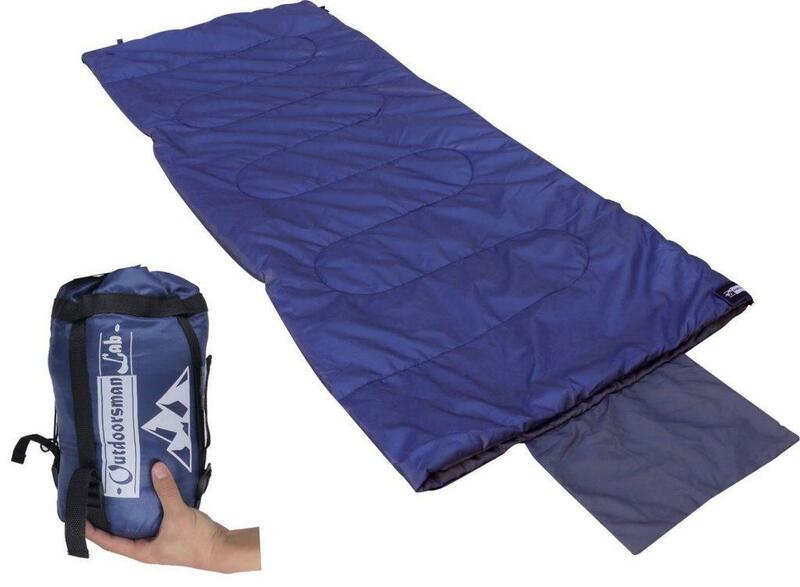 Sleeping bags also come in varying lengths and widths for several reasons. First and most obvious, you need to make sure the bag will fit your height and width. 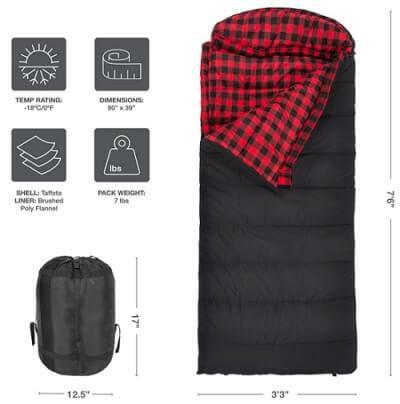 Check the dimensions of each sleeping bag prior to purchase and give yourself a couple of extra inches. Second, mummy designs are more restrictive and may not fit all body sizes and shapes, so larger sleepers may opt for the barrel shaped or rectangular designs. Finally, some bags come with different zipper lengths. Certain bags have partial zippers for warmth and to cut down weight, while others have full-length zippers for ventilation and flexibility. 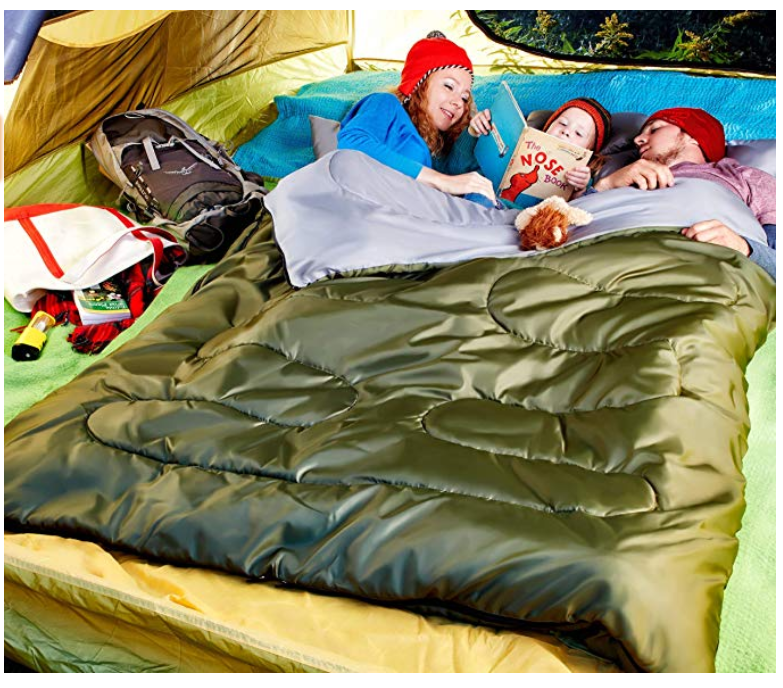 Insulation: There are two types of sleeping bag insulation: synthetic and down. Generally, synthetic is less expensive, so it is the choice of most campers, but it has its advantages and disadvantages. Synthetic insulation is usually made of polyester or nylon, it is durable, hypoallergenic, and fast drying. However, synthetic insulation is bulkier and heavier, and may break down faster. Goose-down insulation is more durable than synthetic, plus it compresses to a smaller size and weighs less. Goose-down typically comes highly-recommended, but it also comes at a higher price and is ineffective when it becomes wet. It is also an allergen for some, and it requires special care for cleaning. 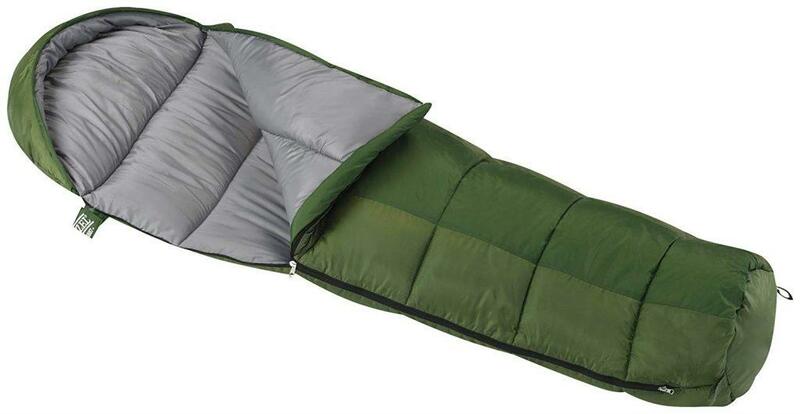 What are the top five sleeping bags for cold weather? 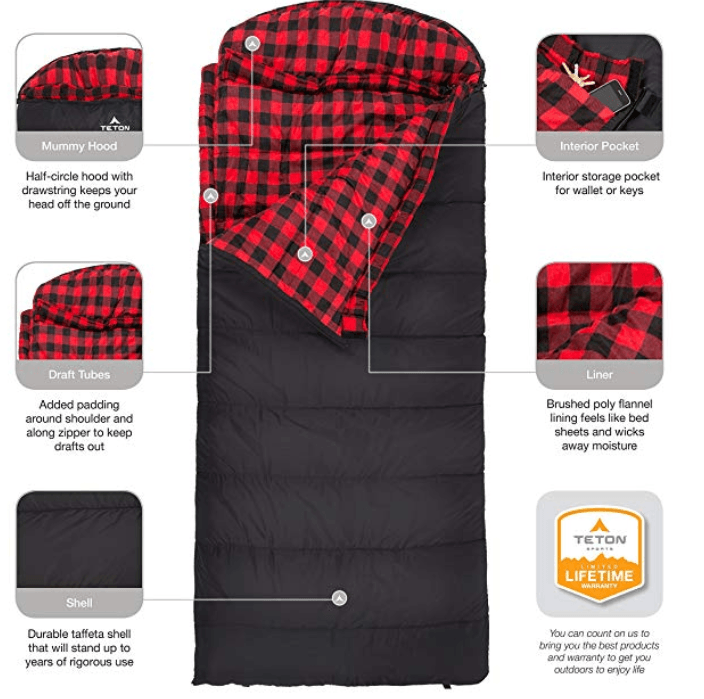 Here is a summary of the best sleeping bags for cold weather, including both down and synthetic insulation types and a variety of shapes. Each product is highly rated and fit for cold temperatures. 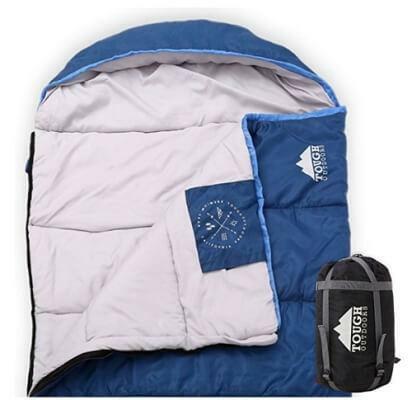 The Brazos Cool Weather sleeping bag has a traditional, rectangle design and is rated for 20 to 40-degree Fahrenheit temperatures. It measures 33×75 inches and is machine washable. 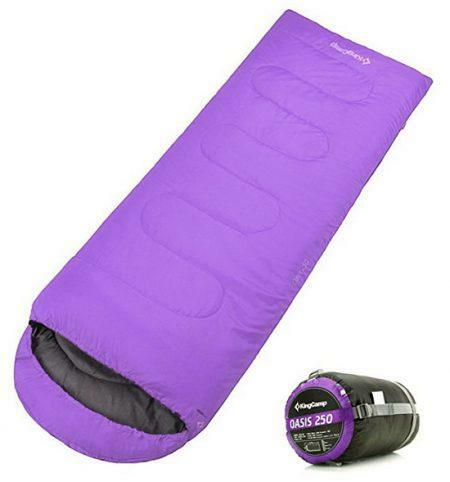 This sleeping bag features Coleman’s Thermolock, ZipPlow, Roll Control, and Quick Cord. Thermolock prevents drafts at the zippers, ZipPlow prevents fabric from snagging in the zipper, Roll Control makes re-packing easy, and Quick Cord makes for convenient sleeping bag storage when it’s not in use. This sleeping bag features a polyester cover and a tricot fiber blend liner. 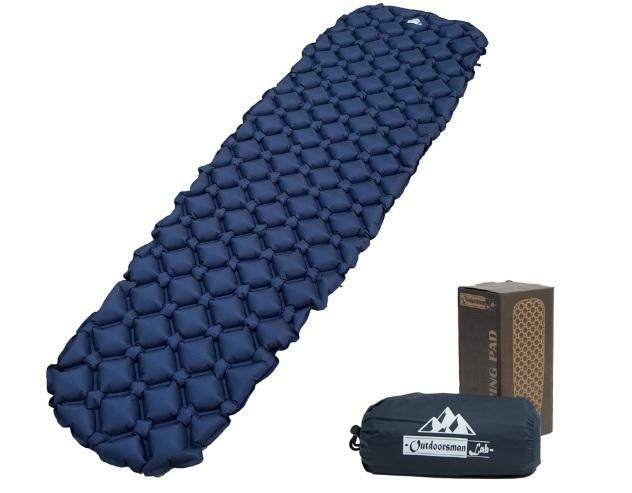 Coleman’s Fiberlock Construction ensures that the synthetic insulation stays in place, which extends the life of the sleeping bag. It measures 75×33 inches and weighs 5.4 pounds. Coleman also offers a five-year warranty. 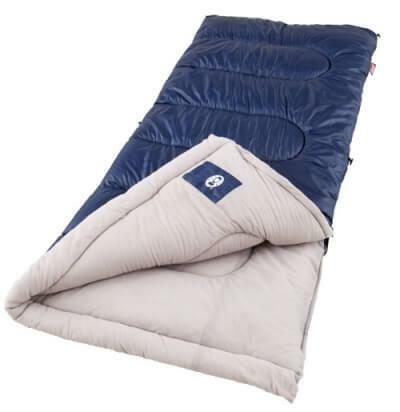 The Reisen Cold Weather sleeping bag is oversized and rated for 30-degree Fahrenheit temperatures. It measures 90×33 inches and weighs just 4 pounds. 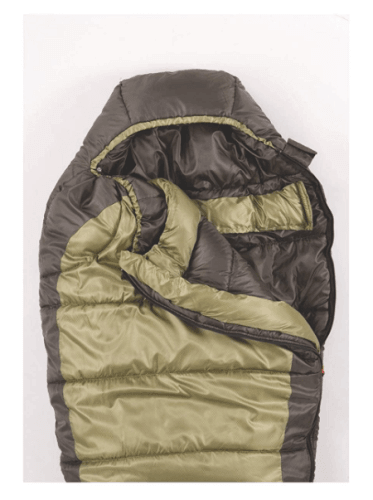 Reisen offers two options for this sleeping bag—with a drawstring hood or without. 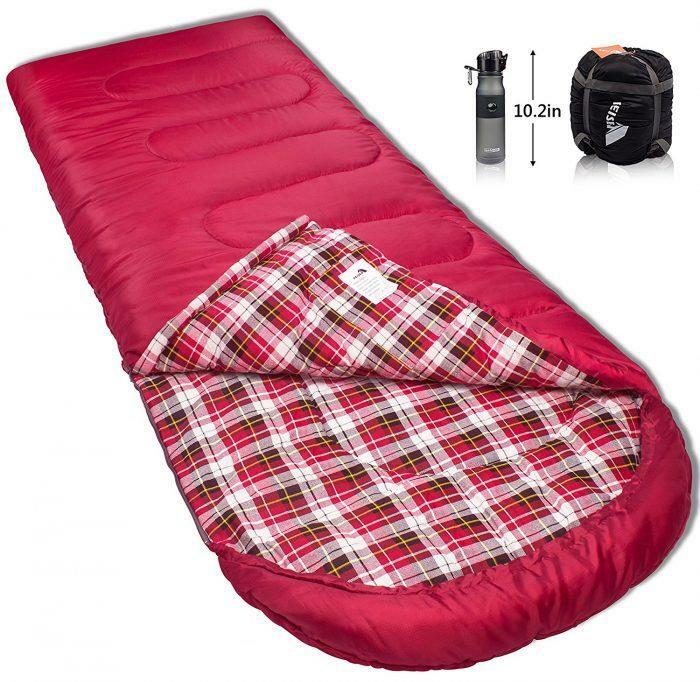 It features a polyester, water-resistant shell with cotton insulation and flannel lining. 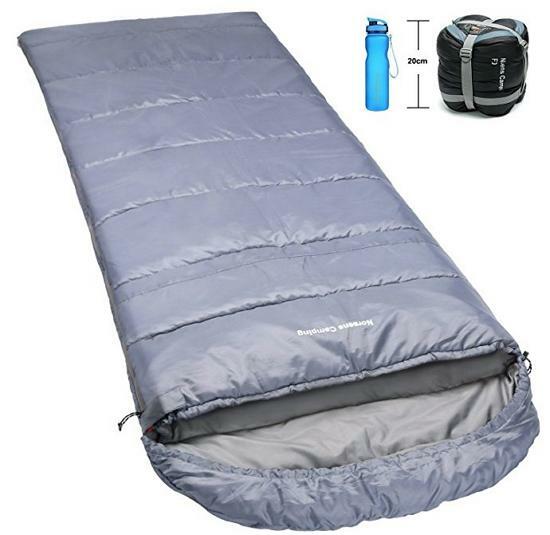 This sleeping bag unzips fully for use as a blanket or quilt and has Anti-Pinch zipper layers. It also features a Velcro interior storage pocket and a full-length draft tube to prevent heat from escaping and cold from getting in. This sleeping bag comes with a compression carrying bag for easy transport and storage. 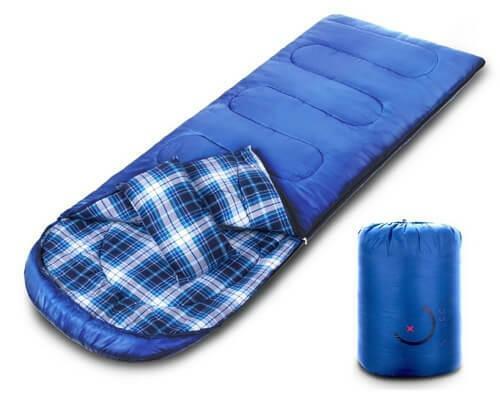 This mummy-style, polyester sleeping bag is sculpted to fit snug to your body and head for ultimate warmth. 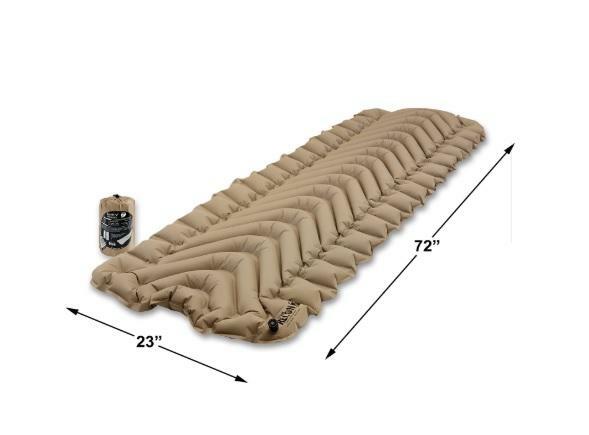 It is rated for temperatures as low as 0 degrees Fahrenheit and measures 82×32 inches. 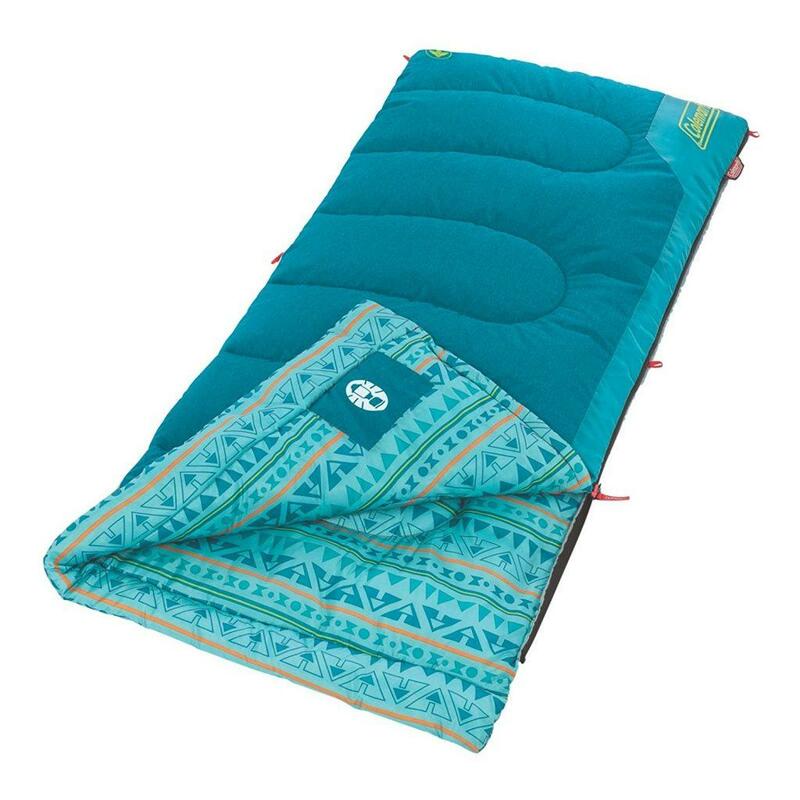 Coleman makes each of its sleeping bags with ComfortSmart technology, which includes ZipPlow, Fiberlock, Thermolock, and Zipper Glide. ZipPlow prevents fabric from snagging in the zipper, Fiberlock keeps insulation in place and increases durability, Thermolock prevents drafts at the zippers, and Zipper Glide allows for easy zipper use. 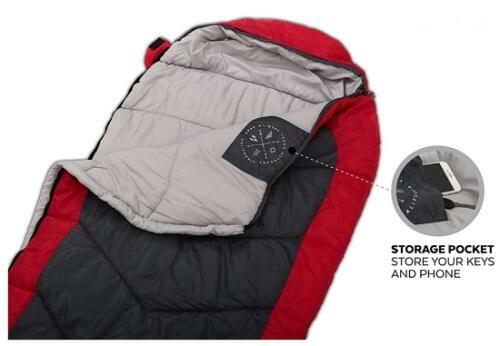 This sleeping bag also offers two-way zippers, so sleepers can customize ventilation. It is machine washable and comes with a carrying case. The pack weighs 5.8 pounds and comes with a five-year warranty. The TETON Sports Celsius XXL is a rectangular design, synthetic insulation sleeping bag rated for 0-degree temperatures. TETON Sports’ SuperLoft Elite Hollow Fiber insulation is compact, soft, and hypoallergenic. 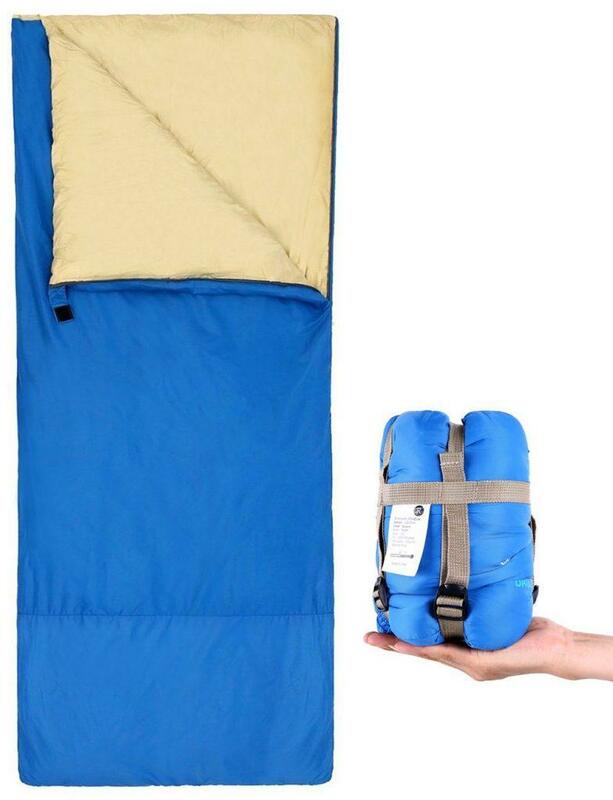 The sleeping bag measures 90×39 inches, weighs 7 pounds, and comes with a convenient carrying bag. The outer shell is made of taffeta and the liner is comfortable, brushed poly-flannel. 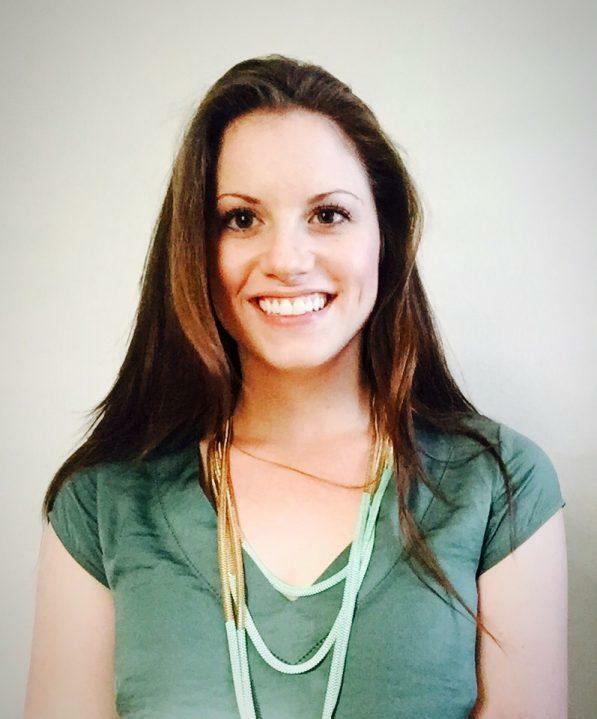 There are three colors available: green, grey, and black. This sleeping bag provides warmth all around with an attached drawstring hood to keep your head warm and off the ground, plus there is extra padding around the shoulders and zippers to prevent drafts. It can also zip to a second sleeping bag. 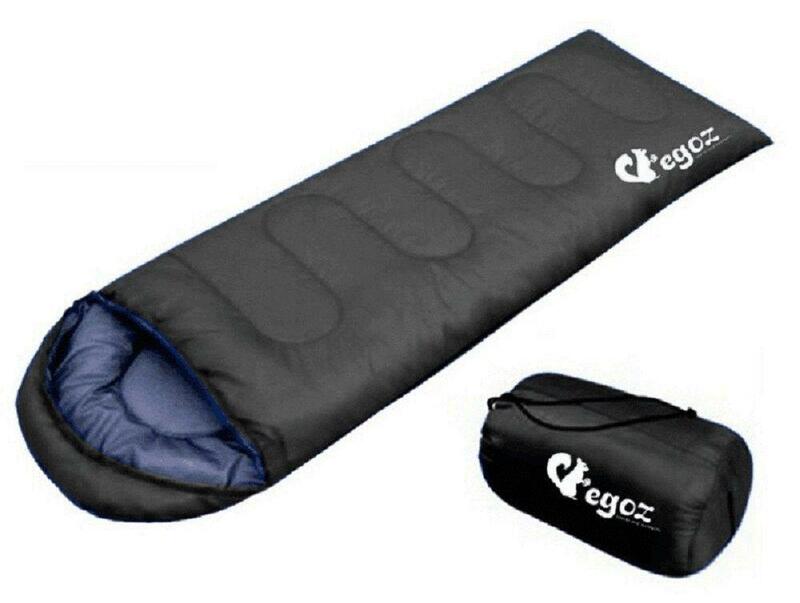 The sleeping bag features an inside pocket for safe keeping of valuables and comes with a limited lifetime warranty. This is the perfect double-wide option for couples and families camping together. 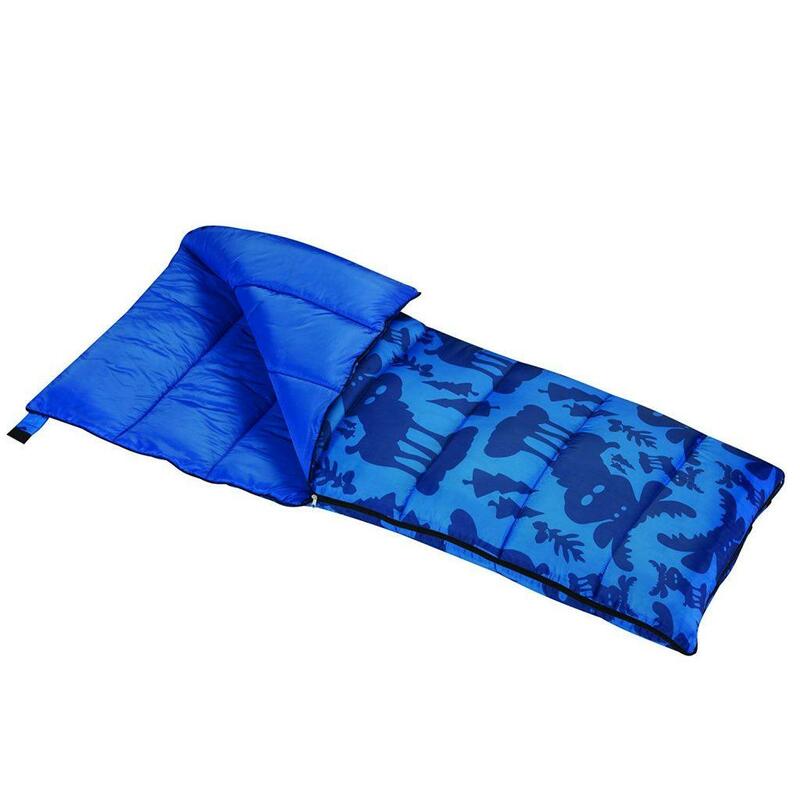 It is a roomy 87×59 inches, features a waterproof, durable, polyester shell, and a soft lining inside for warmth and comfort. 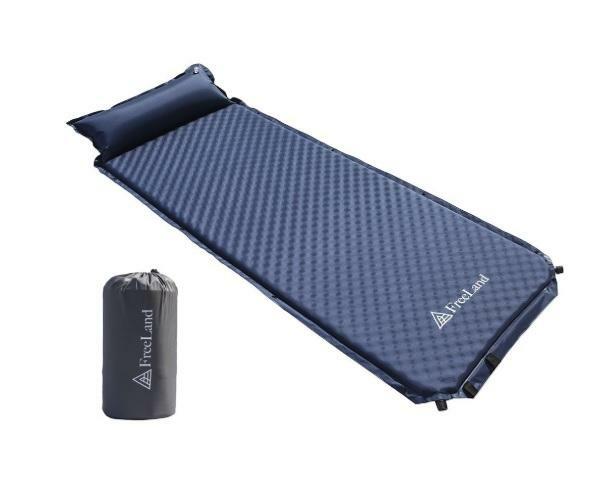 Plus, it can be separated into two sleeping bags for versatile use. 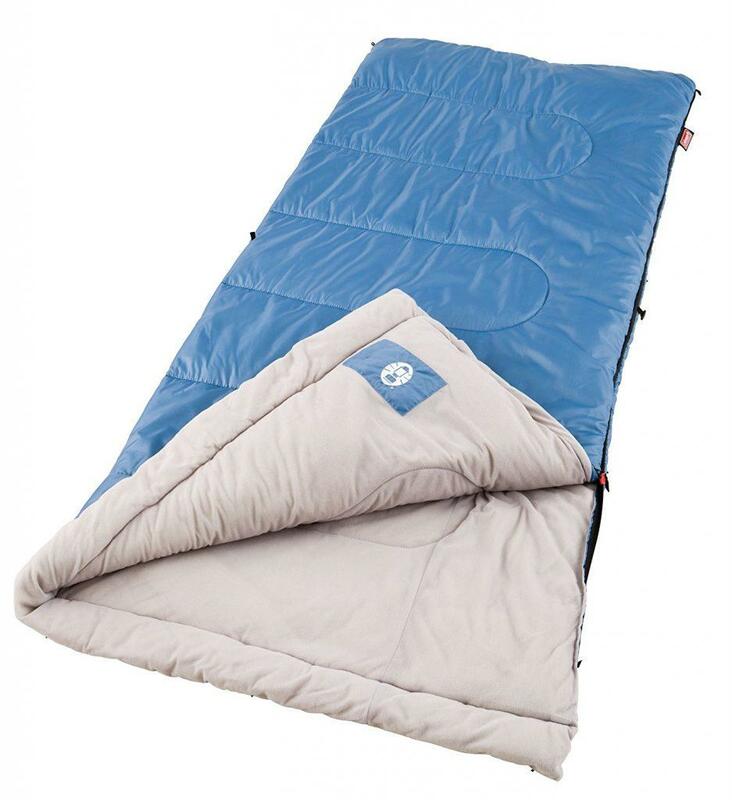 Sleepingo’s double sleeping bag has synthetic insulation made of tetron and cotton and comes with two travel pillows. 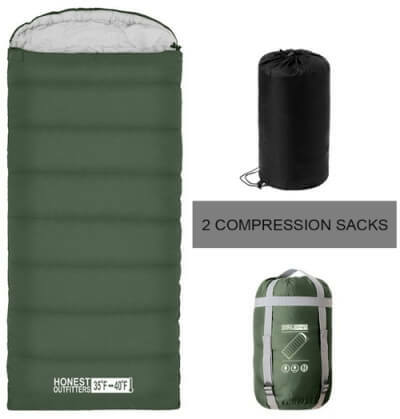 Both the sleeping bag and the pillows fit into a compact, nylon carrying bag. This 6-pound package is rated for 32 degrees Fahrenheit. 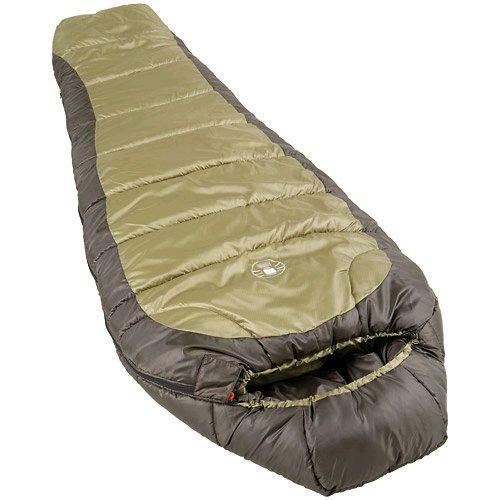 What else should you consider when purchasing sleeping bags for cold weather? 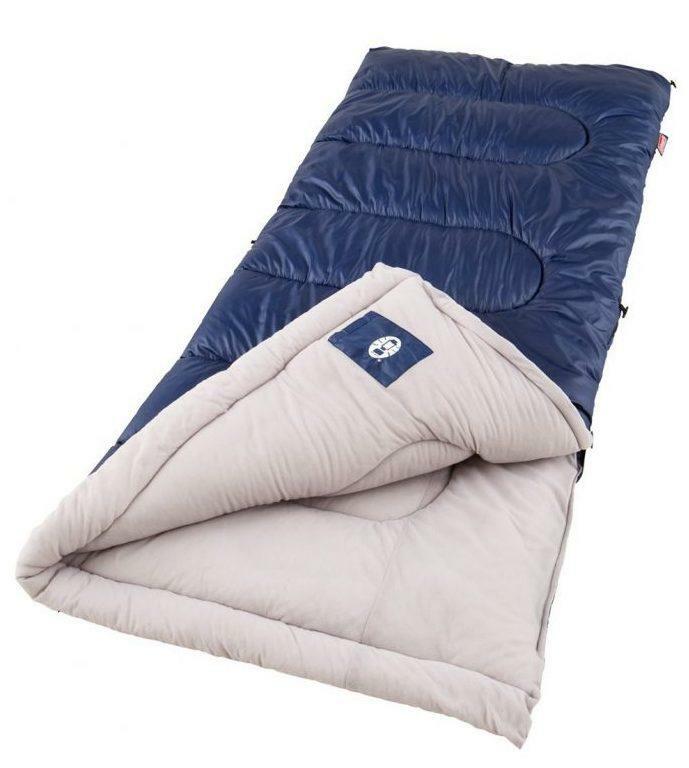 There are several other ideas to consider when purchasing your ideal sleeping bag for cold weather. 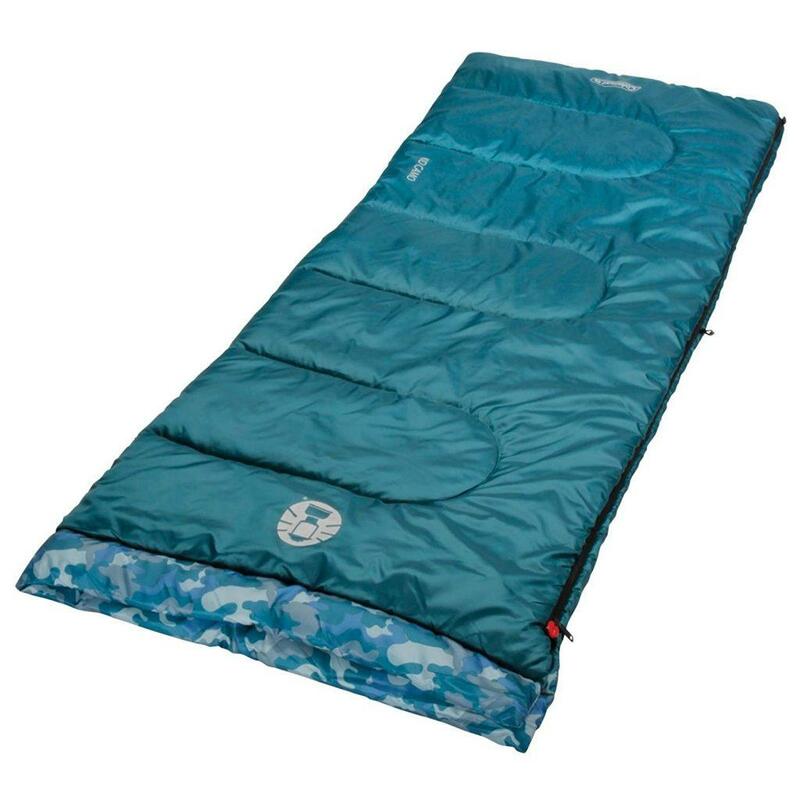 First, many sleeping bags are standard, adult sized, however, there are options specifically for women and children. 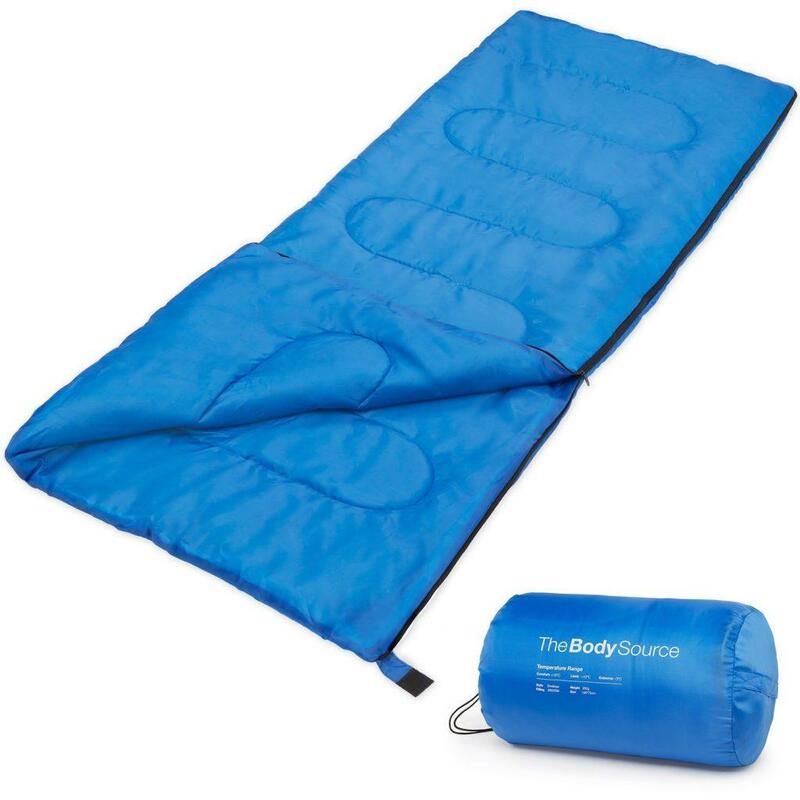 Woman’s sleeping bags are designed to fit the contours of a woman’s body specifically; the sleeping bags are typically shorter, narrow at the shoulders, wide at the hips, and extra warm at the torso and feet. 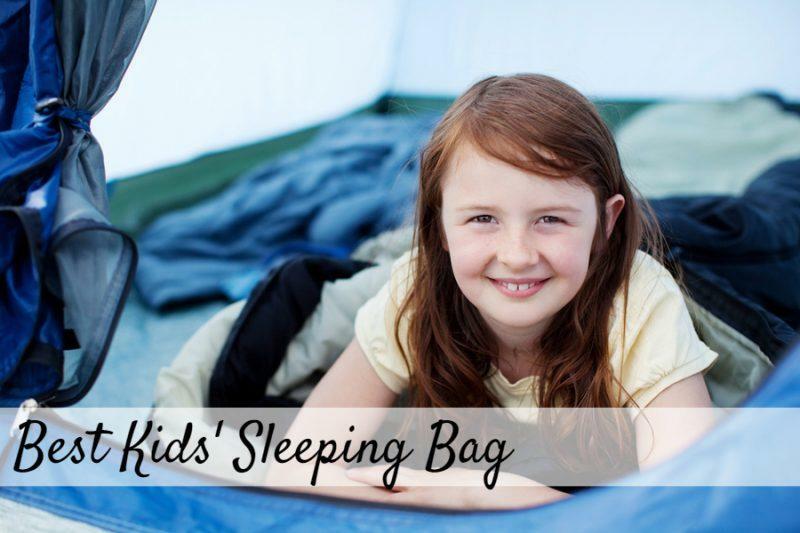 Children’s sleeping bags are usually smaller, but they also provide other features that keep the lining, pad, and pillow together. Additionally, children’s bags have more pockets to hold camping gadgets and toys. Second, consider other extra features and accessories. Some sleeping bags are equipped with a drawstring hoods to keep your head and pillow snug and warm, or they have more interior or exterior pockets. You may also be interested in purchasing an additional pad or shell. 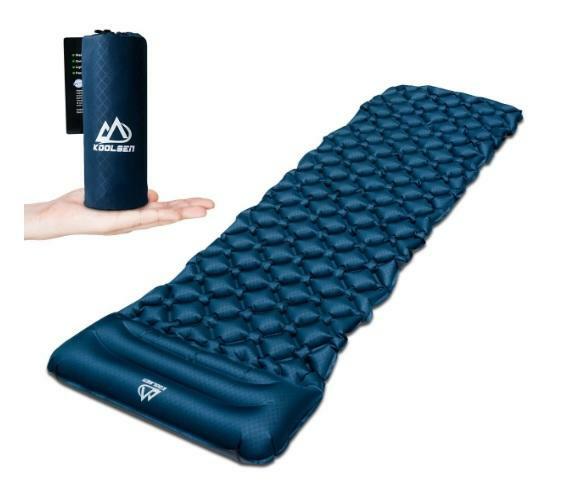 It is usually recommended to place a pad under your sleeping bag for extra comfort and warmth, since an extra layer between you and the cold ground can help with aches and pains and retaining heat. An added shell could help with keeping moisture out. 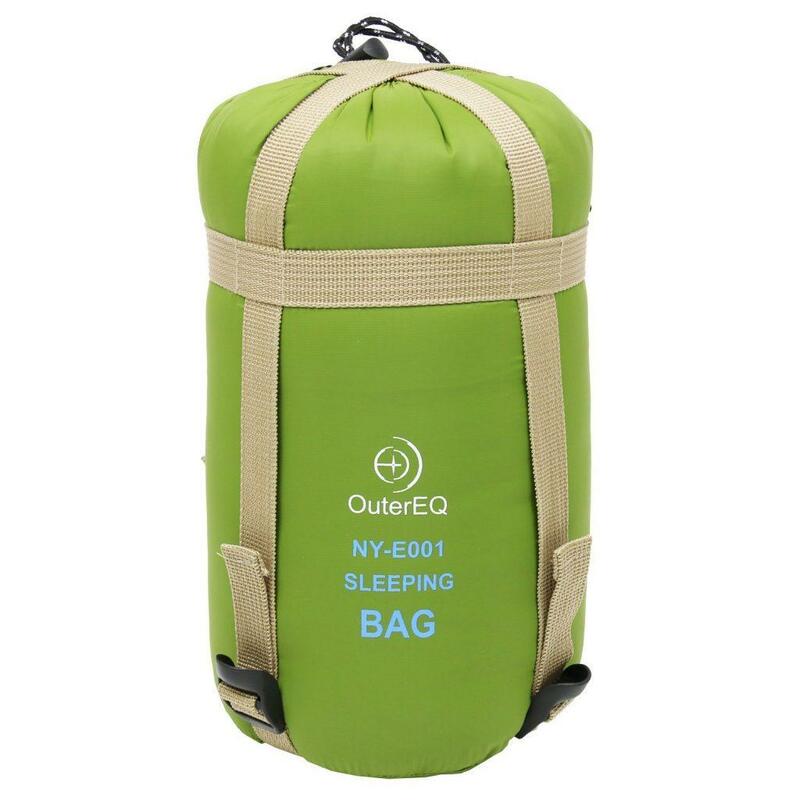 Additionally, some campers consider purchasing a larger carrying bag that can store other items (i.e. pillow) along with the sleeping bag. 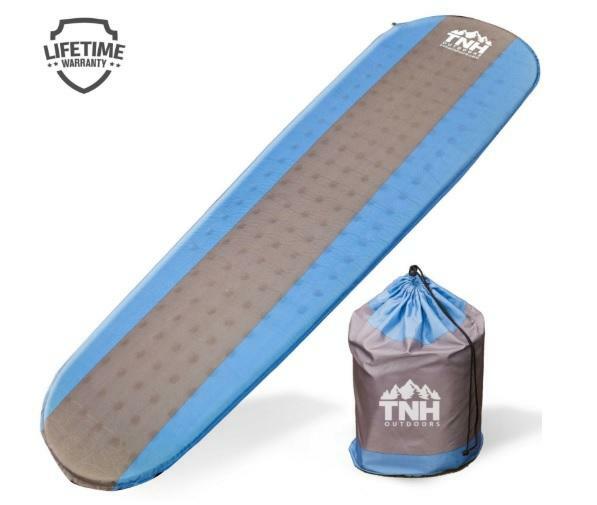 Other popular accessories include heating elements that can be inserted into sleeping bags for extra heat and a durable water repellant (DWR) that can be used to treat all types of gear. Finally, consider price. 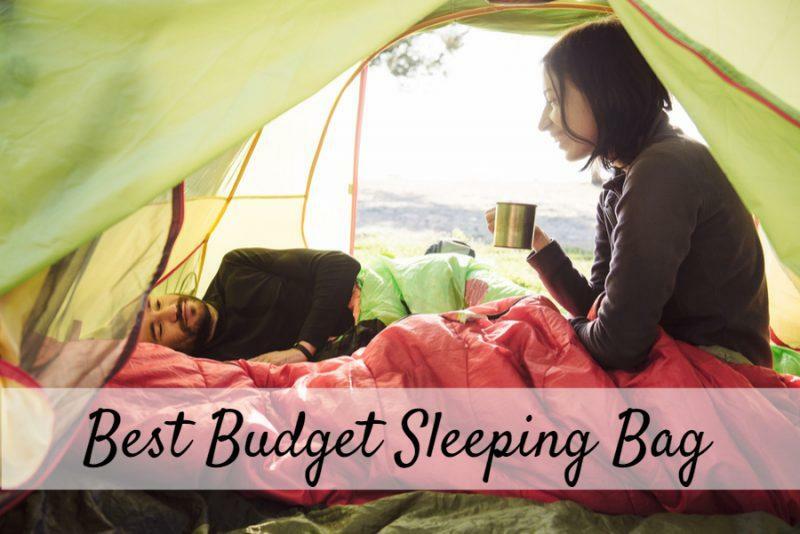 As with most sporting equipment, camping gear can get expensive, and with so many items to purchase, it is natural to try and balance quality with value. Each of the top choices above fall in the range of $25 to $70, but some sleeping bags can cost over $1,000. 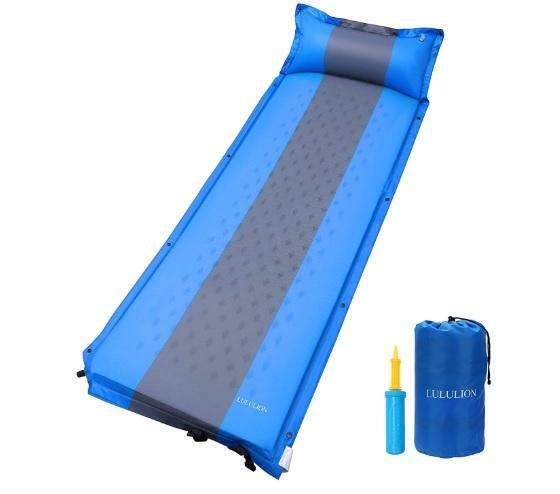 In general, price for sleeping bags is largely dependent on insulation type, features, and temperature rating. 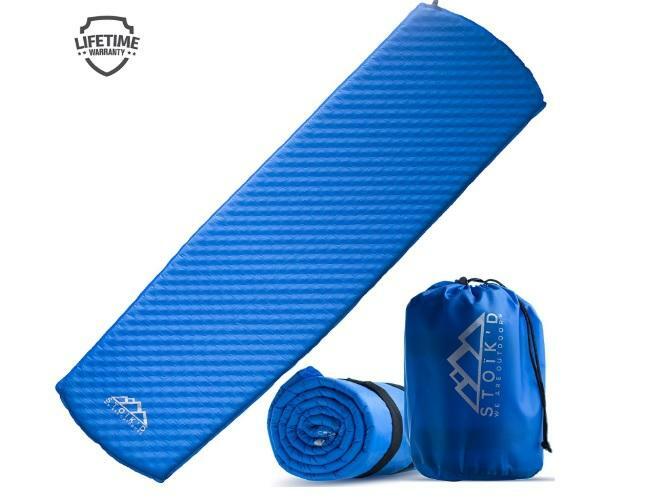 The right sleeping bag can make a good camping trip great. 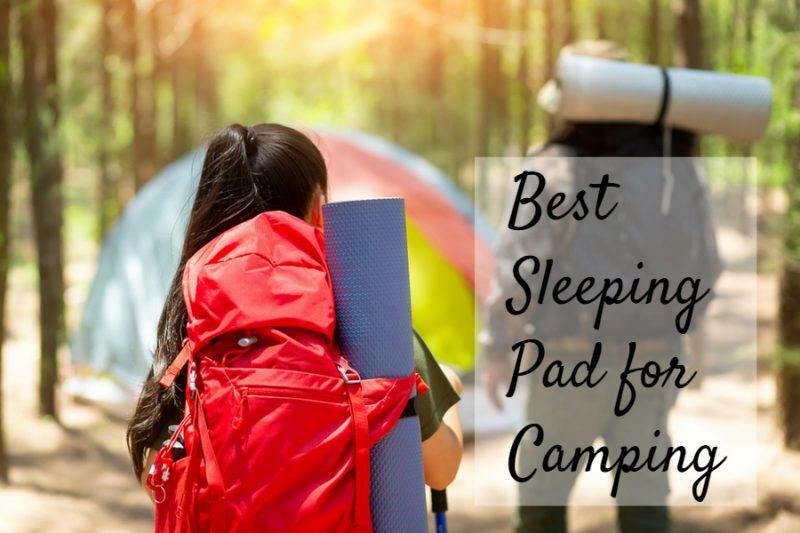 Whether you are backpacking, hiking, climbing, or on any other camping adventure, restful sleep is necessary for the successful completion of your expedition. So, when purchasing your sleep gear, staying safe, warm, dry, and comfortable are the top priorities.